Inspired by australianperfumejunkies review of some of the Parfum d’Empire line today, I decided to pull out some of my untested samples and give it a go. Since summer is approaching, I thought I would try Iskander. Lemony, citrus freshness in an initial blast, bright and sunny are how I would describe my first impressions with the scent. There initially is almost a barber shop clean aspect to the Iskander. Now I’m not typically a fan of citrus scents so I wonder if I’m going to like Iskander. I find then that the initial citrus blast dissapates and out comes a very light spice, maybe the coriander?. But I don’t consider this a spicy scent by any means. The fragrance soon mellows into a lovely warm, yet fresh, citrus, amber and oakmoss scent which evens out the initial sharpness of the scent. The is an underlying tonality in this fragrance which is similar to the other Parfum d’Empire scents that I have tested; it’s a smooth and silky finish that I find incredibly luxurious. It sits at the scent’s base tying in all of the ingredients for a layer that blends so well on the skin. I don’t know what this is, but so far the Parfum d’Empires scents that I have tried all are equaled in their beauty even though they are composed so differently. 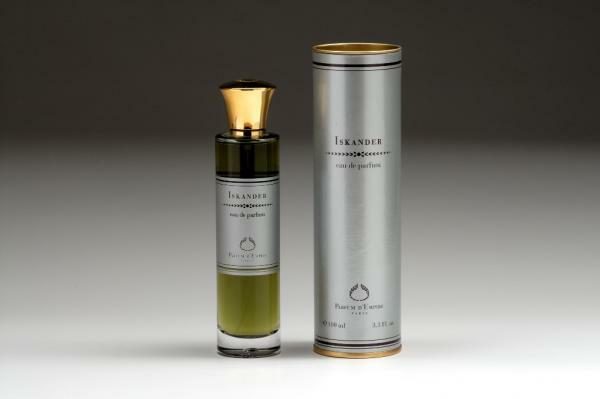 I’m not sure yet, but I believe that Iskander might just be my 2012 summer scent. UPDATE: Iskander got to me, I had to buy a full bottle! Categories: Parfum d'Empire | Tags: 4 bones, citrus, clean, fragrance, Iskander, Parfum d' Empire, review, unisex | Permalink. You make Iskander read try-worthy. Yes, they are quite reasonable compared to a lot of the niche, small bigtime crews. And yes, all those glorious words fit them. I absolutely love Iskander. Have you tried Azemour les Orangers yet? I find that both fragrances are in the same vein and are both wonderful. Is a 5 year late comment bad etiquette? I’m finally redoing my entire website (which means checking whether old links work, so I had to check whether this link was still up before I launch the new blog). I do like ALO, but love Wazamba and that cumin one (forgot the name now). PdE is actually the only house where I appreciate every single scent (even if it’s not wearable for me). I only found the amber/vodka one difficult to stomach and eventually gave it away.